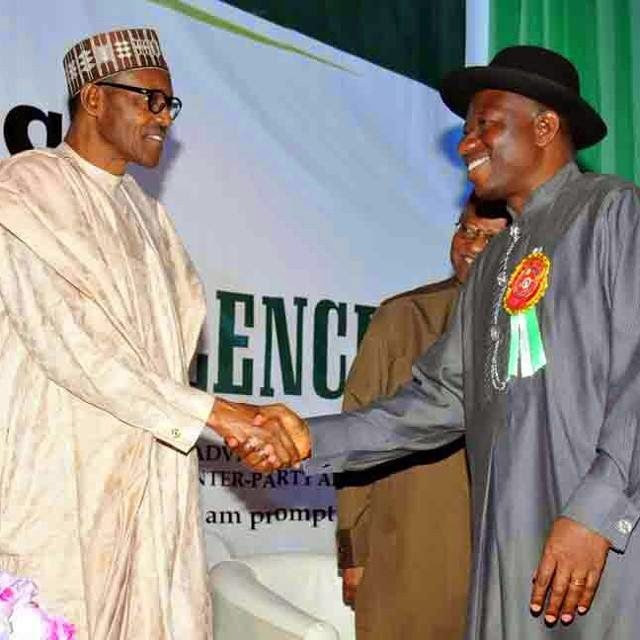 President Jonathan & General Buhari at 2015 Elections Sensitization Workshop on Non-Violence in Abuja Nigeria. 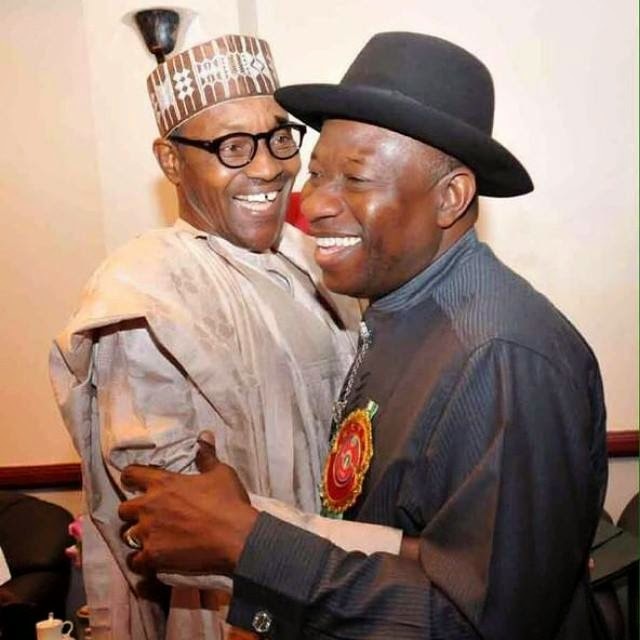 President Jonathan and General Buhari in embrace @ The 2015 Elections Sensitization Workshop on Non-Violence in Abuja, organized by the Office of the National Security Adviser and SA to Mr. President on inter-party affairs. 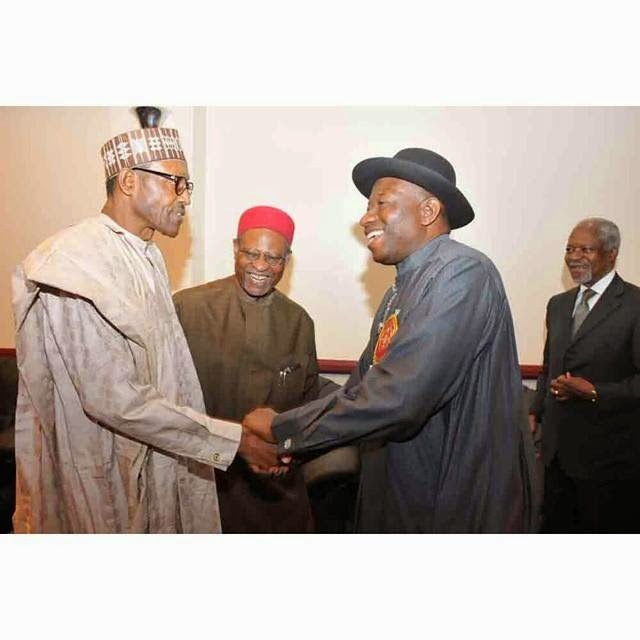 President Jonathan in handshake with General Buhari at the 2015 Elections Sensitization Workshop on Non-Violence in Abuja, Nigeria.